Indian cricket players walk off the pitch after winning the Twenty20 cricket match against Zimbabwe in Harare, Zimbabwe. 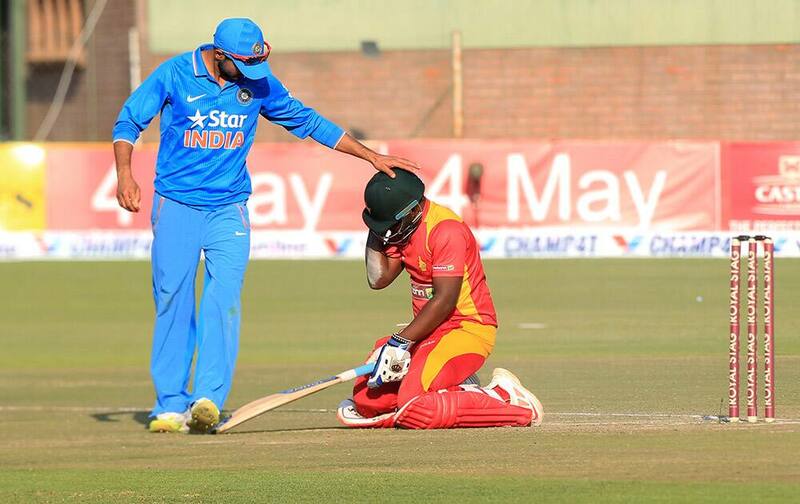 Ajinkya Rahane touches Zimbabwean batsman Prosper Utseya on the helmet after he fell to the ground in the Twenty20 cricket match against Zimbabwe in Harare, Zimbabwe. 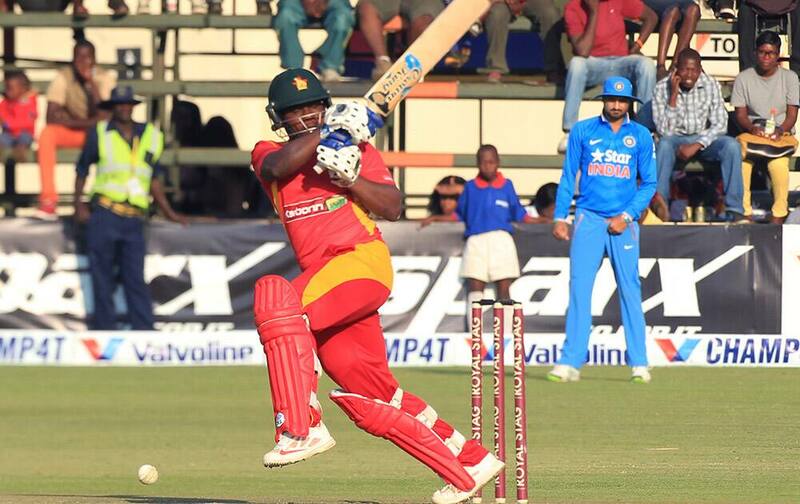 Zimbabwean batsman Nevile Madziva plays a shot in the Twenty20 cricket match against India in Harare, Zimbabwe. 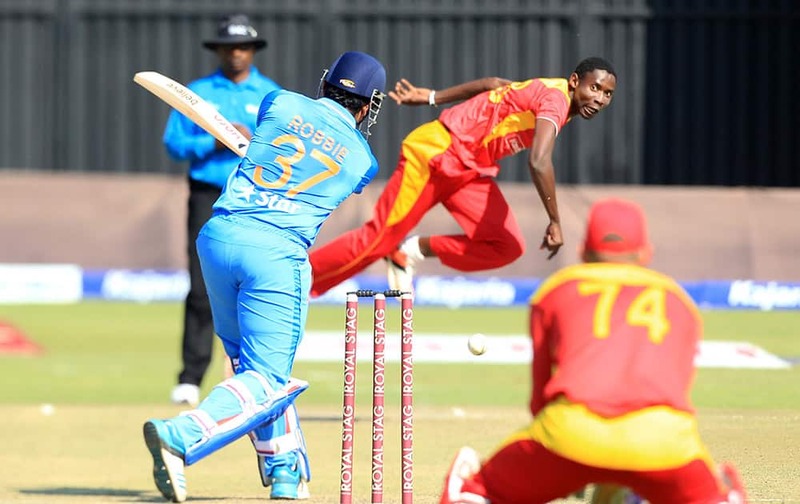 Zimbabwean bowler Christopher Mpofu bowls to Indian batsman Robin Uthappa on the first day of the Twenty20 cricket match against India in Harare, Zimbabwe. 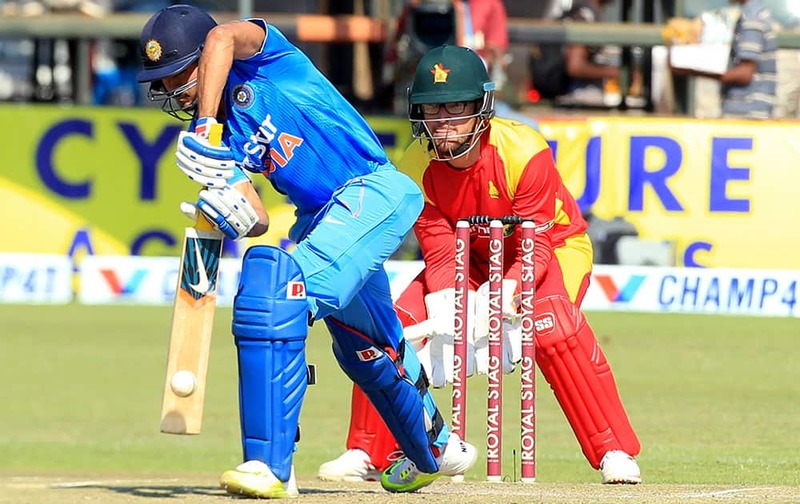 Robin Uthappa, right, plays a shot as Zimbabwean wicketkeeper Charles Coventry looks on during the Twenty20 cricket match in Harare, Zimbabwe. 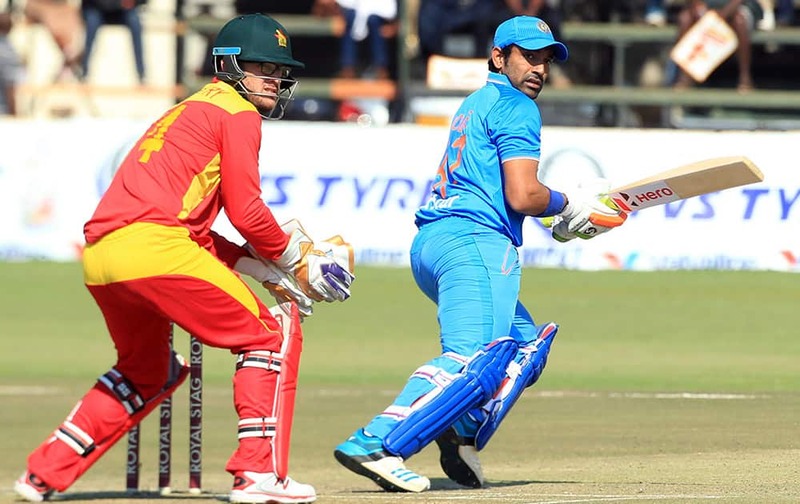 Robin Uthappa plays a shot past Zimbabwean wicketkeeper Charles Coventry during the Twenty20 cricket match against Zimbabwe in Harare, Zimbabwe. 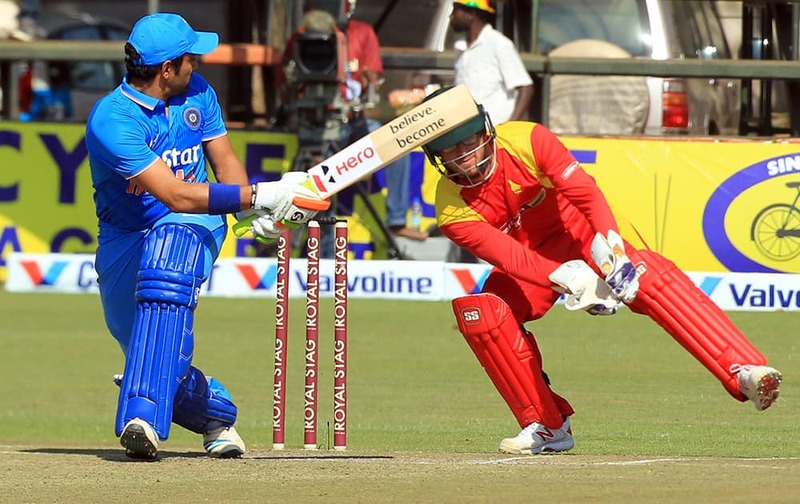 Manish Pandey blocks the ball as Zimbabwean wicketkeeper Charles Coventry looks on during the Twenty20 cricket match against Zimbabwe in Harare, Zimbabwe. 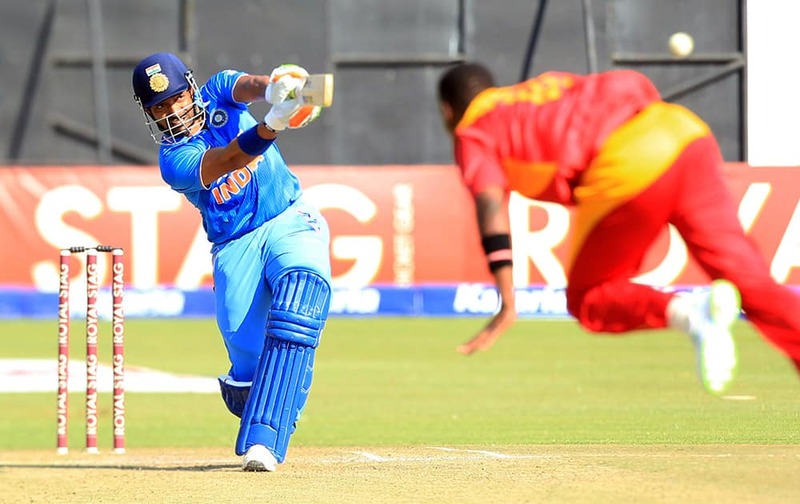 Robin Uthappa plays a shot during the Twenty20 cricket match against Zimbabwe in Harare, Zimbabwe.